It may be too late for most of you to prepare this dish tonight but save up some cold rice for next Friday. Prepare the rice ahead of time. Keep in refrigerator until ready to use. One hour ahead of dinner preparation time, marinate the cubes of fresh/frozen (thawed) salmon with 1 tablespoon soy sauce, 1 teaspoon brown sugar, and 1/2 teaspoon garlic powder. Set aside. Heat a large skillet or wok, add tablespoon healthy oil, such as olive and scramble up the eggs. Remove the eggs and fry up the cubes of salmon until brown and crusty in the leftover oil. Be careful not to move the salmon pieces around until each side is browned. Remove. In a wok or same skillet, add another tablespoon of oil and fry the cold rice, making sure to separate all the grains. Season with approximately 1 to 2 tablespoons of soy sauce, salt if needed, and pepper. 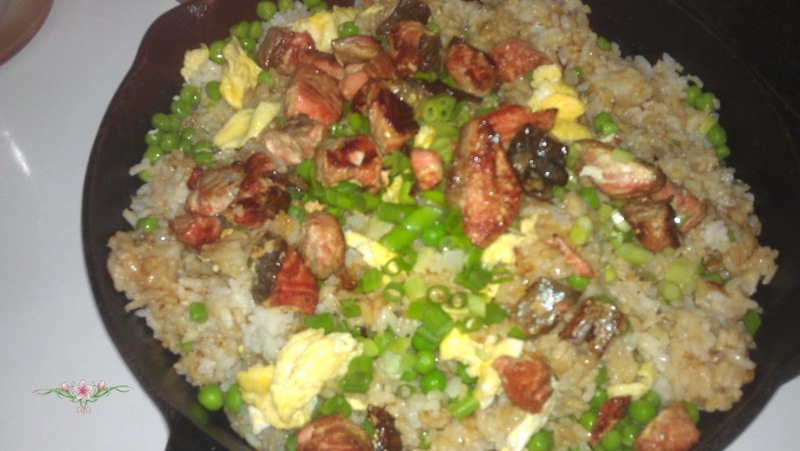 Add to this fried rice, the thawed peas. Stir fry a couple of minutes, then add the green onions. Fry another few minutes and lastly top with the browned pieces of salmon. The Catholic Church has been blessed with many good and holy popes in modern times. One such pope is Pope Paul VI. He is the pope of my childhood yet I didn't really appreciate him much. I guess he was overshadowed by his successor,our charismatic holy Father Pope John Paul II. So it was with much interest that my family and I watched this 2010 Italian production on his life. The movie is 3 hours and 20 minutes long. I read one review who said it was slow going at times. I have to respectfully disagree. My interest was captivated from the very start at the kidnapping of Aldo Moro. One thing I found particularly interesting is the way the movie unfolds in a chronological manner with Giovanni Battista Morini as a young priest and all the popes in his life as a priest. The producers of this movie checked their facts and it shows. One example is in the way the controversy of Humanae Vitae is played out. The strong opposition by those advising our Holy Father caused him so much pain, yet he went ahead, let by the Holy Spirit. He was a visionary. They should have listened to him. The movie is available through Ignatius Press. We watched it from a Netflix DVD. 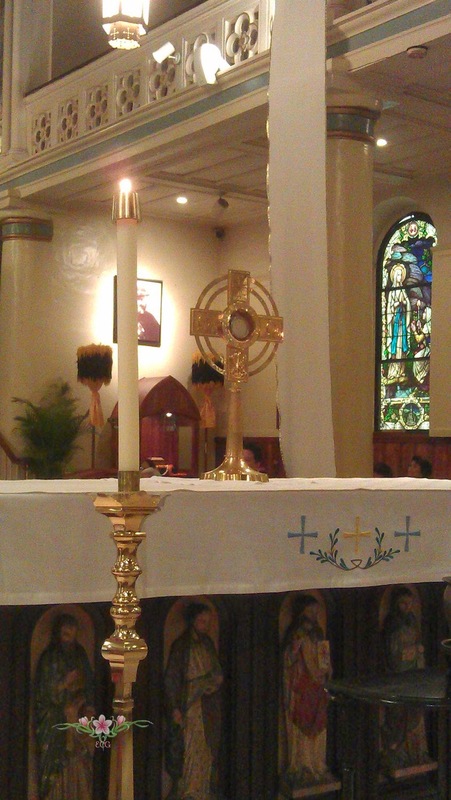 "Behold our Jesus, who, not satisfied with dying on earth for our love, is pleased even after His death to dwell with us in the Most Holy Sacrament. Let us, then, learn to thank Him for it, and to avail ourselves of conversing with Jesus. 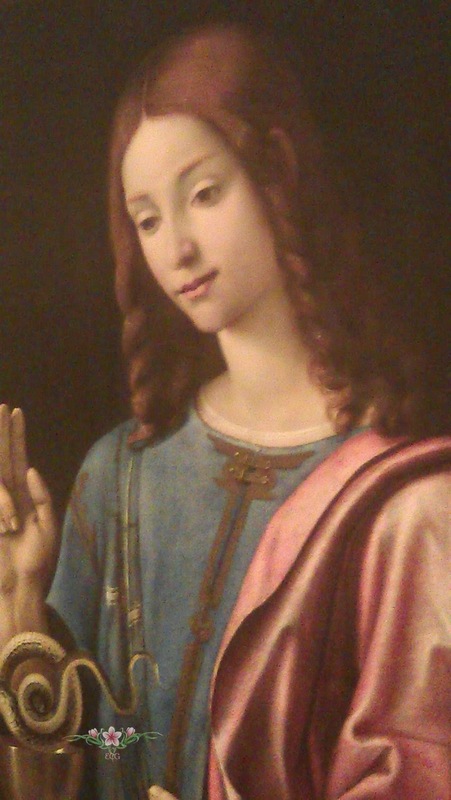 This is a very beautiful portrayal of a young St. John. I am sharing it because every time I go to the Honolulu Art Museum, (Formerly the Honolulu Academy of Art), I love this painting. I am drawn to this painting. Not only are the deep rich colors that are so appealing, but also the look of contentment on St. John's face. For those of you not familiar with the story, it reflects the legend of how St. John's was handed a poisoned cup of wine. Yet, when he blessed the cup of wine, the poison rose in the shape of a serpent. Click HERE to see the full image and the description of the painting subject. Our little art museum has quite an impressive selection of Catholic art. Be sure to see for yourself if you have the opportunity.